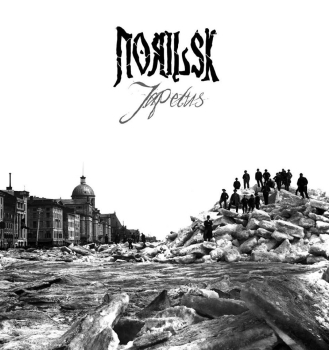 With their debut full-length 'The Idea Of North' released this week through Hypnotic Dirge Records, we thought we'd like to hear a little more about how Norilsk have been getting on in recent times. The band: Nick Richer (drums/backing vocals) and Nicolas Miquelon (bass/vocals/guitars). (1) Greetings, Nic, nice to renew our acquaintance, and many thanks for agreeing to be interviewed for Doom-Metal.com. Could we start with a formal introduction to our readers: who are you and where are you from? Hi Mike, it’s nice to be back on Doom-Metal.com. Norilsk is a doom-death band from Gatineau (Québec), Canada. At its core the band is Nick “Chopz” Richer on drums and backing vocals, and myself on bass, vocals and guitars. (2) Last time we spoke, you'd just self-released the 'Japetus' EP on download/CD. How well did it do, as far as getting the band noticed, in the end? For a first EP, the reaction was better than expected. We received a lot of positive reviews from specialized webzines (like Doom-Metal.com), and metal zines in general. Doom-death and sludge fans talked about it on various forums, which is always positive, and it was received for what we wanted it to be: as an introduction to the band and a teaser to the full length album. Overall, it definitely helped our press kit and added an extra argument when we approached various labels. (3) Was it important to you to have given it a physical release? Do you have a view, or preference, on downloads versus real media in general? I do have a strong opinion when it comes to physical releases. I am a traditional album collector, and I highly value the importance of physical releases. Except for bonus, special projects, sometimes live performances, and maybe demos, a physical release is important as it showcases the commitment of a band, and also adds a whole new experience to an album. I like listening to an album and getting lost into its artwork, lyrics, booklet, etc, and the ritual that comes with it. To me, it was of capital importance that Norilsk be also released physically, either on CD, cassette and/or vinyl, and that a lot of efforts be put into it. Having said that, I’m not at war with digital—quite the opposite, as I have a huge collection of albums in digital format as well. I just think it’s important that an album be also made physically available for whoever wants to get their hands on it. (4) Prior to that, how did Norilsk take shape? It was originally intended to be a side-project: would you still consider that to be the case? With the positive reactions we received about the EP, and the label supports for the current album, Norilsk definitely spread its wings between the two releases to become a main project. If it wasn’t for these factors, it would still exist, but probably not at the same scale. (5) We always ask this, but what do you consider to be the defining qualities of Doom, and how do you best express them as a band and in your music? When I pick up a doom album, I expect it to be slow and powerful, introspective and devastating at the same time. These are also the main qualities we try to express with our music. Whether we use melodies, atmospheres or sheer heaviness, it doesn’t matter as long as it feels crushing. When it comes to the themes, however, I know that traditional doom has a lot of melancholy and depressiveness, and also a fair share of spirituality (God, the Devil). I think we stepped back from traditional doom themes to embrace early-mid 1990’s doom-death lyrics, with the use of death, ill-fate and oppressiveness (either natural elements or events) as characters. (6) In our introductory interview, you named Morgion, Thergothon and Shadow Of The Torturer as your three most influential bands. Do you consider them to have a strong presence in your own music? Are there any other bands which would fall in that category, or any non-musical inspirations? I still think these three bands are the main inspiration that led to the creation of Norilsk, but their influence is probably more about the spirit or the approach than the direct stylistic influences. 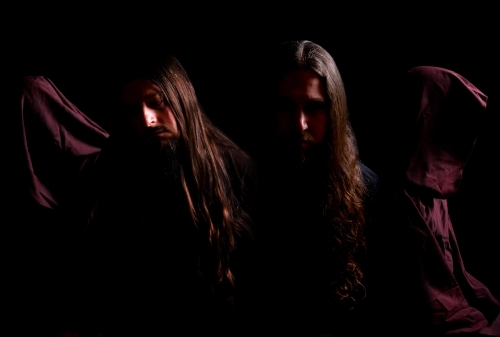 As described in the previous interview, I see these three entities as benchmarks in my musical journey, for each of them contributed in their own way to “ground” me into doom-death metal. Now, in terms of direct influence I could say that I am a fan of Morgion’s song structures and atmospheres, that I love where they carry you, and how the various instruments have their own personality. I could also add that Thergothon’s relative simplicity and eerie melodies aren’t unrelated to some of our songs. As for Shadow Of The Torturer, I always have been fascinated by their sound, their raw edge, and the darkness surrounding it. Having said that, many people hear early Peaceville influences in our music, and they probably aren’t wrong as these pillar bands had influences over the whole doom-death spectrum. We listened to a wide range of doom-related albums, ranging from Scald, Katatonia, Officium Triste, Worship and Forgotten Tomb, to bands like Asunder, Ablaze in Hatred, Astral Sleep, or Fangtooth. There are, however, a lot of other stylistic influences in our music starting with sludge and post metal (I am thinking of bands like Thou, Isis and Morne), as well as black/pagan metal, and the odd folk and soundtrack influence. (7) What in particular led you to pick the name 'Norilsk'? Any or all of the obvious grim qualities of the place, or some completely different reason? Its grimness indeed, but also because it had a direct link with our themes. We wanted something evocative of the North, as identity and the land are strong components of our lyrics, and picking a city’s name was for us an alternative to using a band name in French or English. Soon after we started looking at some of the northernmost iconic cities in Canada and abroad, Norilsk, despite being hard to pronounce for most people, stood out as an obvious choice. (8) Presumably it's rather nicer than a Siberian mining outpost in Canada, but it's still a very large place with a very low population density. What's the musical scene like for you? Is it limited by geography, or climate? The metal scene is definitely smaller than in Europe, with long distances (and extra costs) to be taken into consideration when a band wants to tour. To give you a general idea of the climate, the Ottawa area where we are located is at least as cold as Moscow, so combine this with geography and you end up with bands wanting to play in the Spring or Fall, ideally, as Summer is when most of our festivals happen. On the other hand, we are fortunate enough to be located in the Toronto-Montreal-Quebec City corridor, which provides quite a few venues and show opportunities, and we’re not too far from New England and the US East Coast. In terms of music genres, Canada is the sacred land of technical death metal. 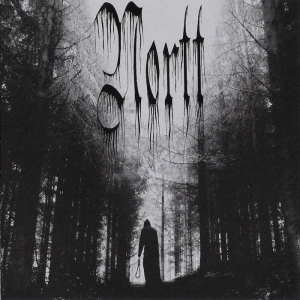 While thrash metal, black metal and grind have developed their own character, I feel doom (and doom-death) is evolving under the radar in the Great White North. There are a few quality extreme bands such as Towards Darkness, Longing for Dawn, Cortisol and Show of Bedlam in Montreal, but they don’t play shows very often. Heavy doom and blackened doom is probably more visible as there are promoters into these genres. Here in Gatineau/Ottawa, beside the huge death metal scene, there is a vibrant sludge and post metal scene that includes bands like Buried Inside (rip), Alaskan, Biipiigwan, Collider, Goetia, etc. 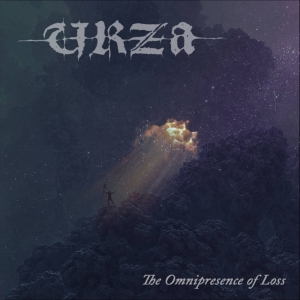 Elsewhere in Canada, there are a few doom bands in the Maritimes, such as Zaum or Sea Witch, and a handful of excellent bands in the West, such as Altars of Grief, Psychotic Gardening, Funeral Circle and Infinite Grievance. Looking at both potential and limitation, it was very clear when we started Norilsk that we wanted to be part of the doom-death community beyond our borders. (9) I ask partly because you previously had plans to recruit a live line-up. Has that been successful as yet? What would be the objective, as far as shows/tours go? We did recruit two guitar players to complete the live line-up, and we are presently working on the live set. We want to play a few home shows, of course, and special events here and there, but the objective is to organize a small tour, in North America or in Europe. We recently made an agreement with Alerta Antifascista Records, from Germany, who would be able to help us with the logistics of an European tour, and co-release the album on vinyl. (10) On the studio front, you hooked up with Hypnotic Dirge Records for your debut album 'The Idea Of North'. How has that been? Easier/better than doing your own release? Hypnotic Dirge Records (HDR) are the first label we approached to release the album on CD. I knew of this Canadian label, their philosophy, and I had purchased many albums through them previously. It was a perfect fit for us to be working with a dedicated label who had experience, interest, and a distribution network in the doom scene, including a partnership with Solitude Productions in Russia. In exchange, I think we help HDR strengthening their local base, as they had surprisingly not released an album from a Canadian band in a long time. Working with HDR has been a real blessing for us. They are dedicated, responsible, and very easy going. It has literally been like having extra hands to help us with the release and its marketing. (11) You'd actually recorded the album at the same time as 'Japetus'. Has it seen any changes since that point? The only thing we changed is the tracklist on the album. We had recorded a cover song for the album (different than the Voivod song that was exclusive to the EP), but we didn’t know if we would and could use it for the album. We waited to confirm who would release the CD of The Idea of North before filling our requests for copyrights (as legislation and publishing rights change from country to country). Once we saw that it would be on a Canadian label, it was very simple to get the copyrights. This is how the song “Coeur de loup” ended up as a bonus track on the digipack. (12) And what is 'the idea of North'? I particularly like the album artwork, which portrays a stylised, fantastic landscape - is there an underlying concept or myth to it all? The idea of North is the title of an artistic radio documentary done by pianist Glenn Gould, comprising a montage of various interviews with a variety of people about the abstract concept and reality of living in the North. When I heard it the first time, it sounded like a slow-moving, doom story. Up to this day, the expression has been used to describe the Northern experience both in Canada and abroad. 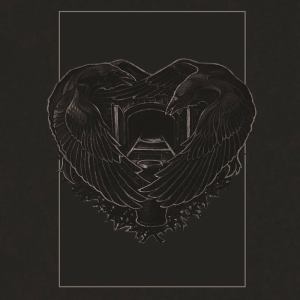 The album artwork, as designed by Sam Ford, is full of references to the North. It was based on the 19th Century photo we used for the Japetus EP, which portrayed an ice shove in the port of Montreal. On The Idea of North, ruins are evocative of the vertical spires of a boreal forest, the ominous sky is vaguely reminiscent of an aurora borealis, and the ice elements were given an organic growth treatment. On the two panel artwork, we wanted to have a beaux-arts dome on one side (the Marché Bonsecours in Montreal in the original photograph), and a stylized byzantine dome on the other panel, to reflect on both Eastern and Western hemispheres coming together in the North. Inside both digipack and cassette, there are even more artworks that expand on this theme—for example, there’s a reference to one of Franklin’s ship and his ill-fate. By using both this doom landscape illustration and the reference to the geographic North, I think we also gave an extra relevance to the band’s name Norilsk. (13) It was a very pleasant surprise to appear in the 'Thanks' section, and also to see so many other acknowledgements for names connected to the musical underground. Do you feel there's a particular sense of community present in extreme music? I think there is, and it can have an impact on the life and death of any band. Like with other people, your help provided us last year with extra exposure and credibility, and this is something for which we are genuinely grateful. As to the sense of community, I probably felt it more than ever when attending the Malta Doom Metal fest last year, with doom bands and fans alike flying from all over the world. 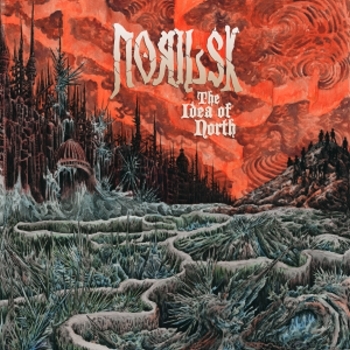 This had a positive impact on the direction of this band, as I came back home with the confirmation that I wanted Norilsk to be part of that wider underground community. (14) We've reviewed the album now. Is there anything in that, good or bad, you'd like to comment on, or reply to? This review is stellar. We love the poetic references you made about a “snow-fanged apocalypse avalanching across the world, leaving the last survivors huddled in the frozen wastes of its wake”. We are very humble that you describe this album as classy. I think you captured very well what we were hoping to display on this album: a series of contrasts and tensions, and a certain diversity without falling into an eclectic exercise. There are clearly two main musical directions to this album, and while the balance can be risky, we hope there will be more people like you to appreciate it coming together. (15) Aside from what we said about it, have you had other feedback from press and/or public? What's the general feeling, and are you satisfied with both that and the album itself? We honestly just started receiving comments about the album (press and public), but it has been very positive so far. It is interesting for us to know why people like it or not, and which song in specific, because it may have an influence on our set list, music video, art direction, etc. One of the challenges with art is communicating the right feelings (or intentions) with an audience, without having to explain ourselves at length. This is why receiving an album review or a comment is always relevant to us. Of course, with the perspective we have today, there are things we would change on the album if we could record it again (mostly arrangements), but overall we are very satisfied with it. It is not a perfect album, but we never wanted it to be either. 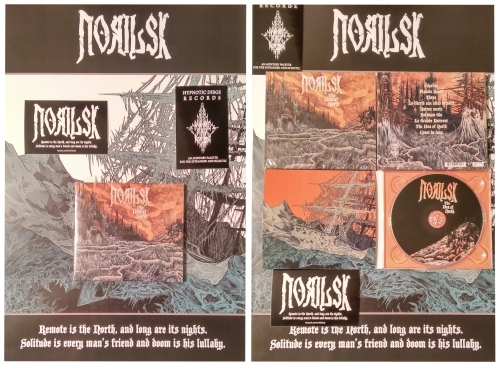 Because it’s Norilsk's first full length, and we used it to define our band, I think it’s on par with what we wanted. (16) Any definite plans for Norilsk in the future, as yet? We are currently finalizing the details for the vinyl release, so we’ll continue working on this for a short while with labels and publicists. We are also getting close to make the public announcement about the live line-up, which means that we’ll be officially available to hit the stage in the near future. As for the mid and long-term, priority will be given to book a tour or a series of strategic shows in support of The Idea of North. (17) What about more generally: do you have a particular musical direction you'd like to head towards, or any sort of distinct goal with it? How would you like people to think about the band in, say, several years from now? Our future plans at the moment are to solidify our basis, and I see this as two-fold: on the one hand, I have a couple new songs written for a follow up album, but I’d like to integrate the other musicians into the writing process and have a more “band approach”. On the other hand, we also want to further develop our stage presence, so to define Norilsk’s live personality. As for a long term vision, I see a real potential in building on the strength of the Canadian doom-death scene, locally and internationally, and develop it further. We definitely want to be part of this increased interest for doom, and continue releasing material under the Norilsk moniker. (18) And outside of music, is there anything you especially want - or have - to do? If you get any free time, what do you like to do with it? I want to continue travelling and attend more doom-related festivals in North America and Europe, meet the bands, the promoters, the fans, and further develop my network. I’ve also been writing for blogs and webzines in the past, and it’s something I’d like to continue doing as it keeps me up to date with the scene and allows me to give back to this metal community. (19) To close, I hope we've given you the chance to present a good picture of the band, but if there is anything you'd like to add, the last words are yours. We released a music video recently for the track “Japetus”, which is both featured on the EP and the current album. This video is special to us as it is a collaboration with Ottawa film director Petr Maur. Petr started shooting last year for a new artistic movie called Horsehead, and asked our drummer Nick to play the main character. After discussing the possibility to use Norilsk’s music as a soundtrack, they realized that the footage could also be cut into a music video. We had the opportunity to unveil this music video at a private listening party in a local theatre (on a giant screen! ), which was a surrealistic experience for us. (20) Then allow me to thank you again for your time and the opportunity to talk with you. It has been a pleasure, and I hope we'll be hearing more from you! Thanks to you and to Doom-Metal.com, one of the best zines dedicated to doom in all its forms. It is always a pleasure for us, and we will definitely stay in touch. Interviewed on 2015-03-12 by Mike Liassides.